I remember this being the coldest, gloomiest 2nd of July in Chicago ever - it was freezing after a freakish cold front blew in! 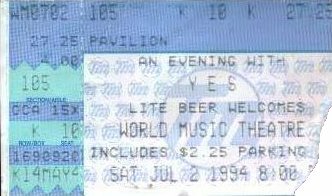 It was in the high 40's-low 50's during this outdoor show in the massive 30,000 seat World Music Theater (now called Tweeter Center). It was shocking how few people came out. There couldn't have been but 3,000-4,000 shivering souls in the huge stadium, which was a little depressing. Yes sure deserved better for they played well and had one of the better light shows I can remember. Considering the quality of the show as a whole, the place should have been filled! I'll bet the record company lost a fortune on this tour with the low attendance and all. The stage and light show looked really expensive. I believe the band was tighter on this tour than they have been on all subsequent tours to date. Alan was quoted somewhere as saying that he and Chris had starting rehearsing several months before the start of the tour, which definitely showed. The Talk material was very good, this coming from me (Trooper all the way) who initially was crushed upon hearing that Bruford, Howe, and Wakeman weren't going to be part of this lineup after the 1991 Union Tour. 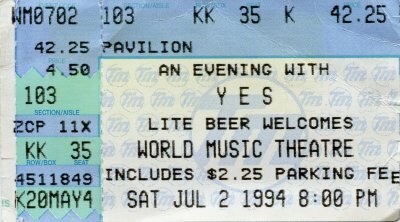 In 1992 and 1993 I was anticipating a second Union Tour and a new album with all 8 guys playing and writing all the songs as one big group. Instead, we got Talk (which I now love). The vocals were the high point of everything - they were an incredible wall of sound. 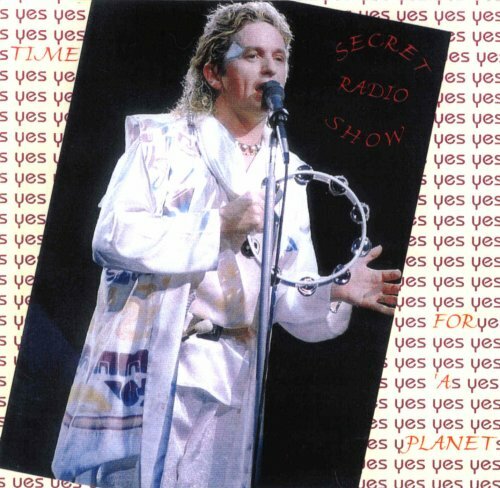 I doubt that Yes vocals were ever better live than this Talk Tour considering they not only had Trevor Rabin to go with Jon and Chris, but also had Billy Sherwood backing everybody up as a side man. 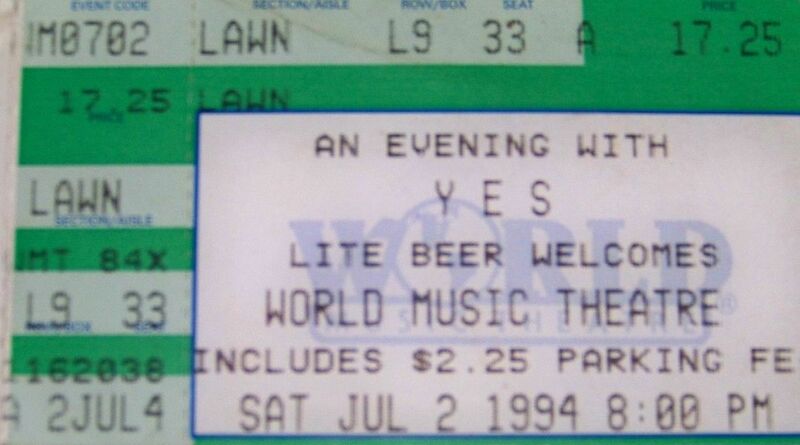 As much as I prefer the classic lineup with Wakeman and Howe and its material, I sometimes can't help but miss the power and flexibility of Yeswest vocals. This is a song from the new album 'Talk'. Earth vision. Sky vision.